This is really a simple point about engineering in wood. 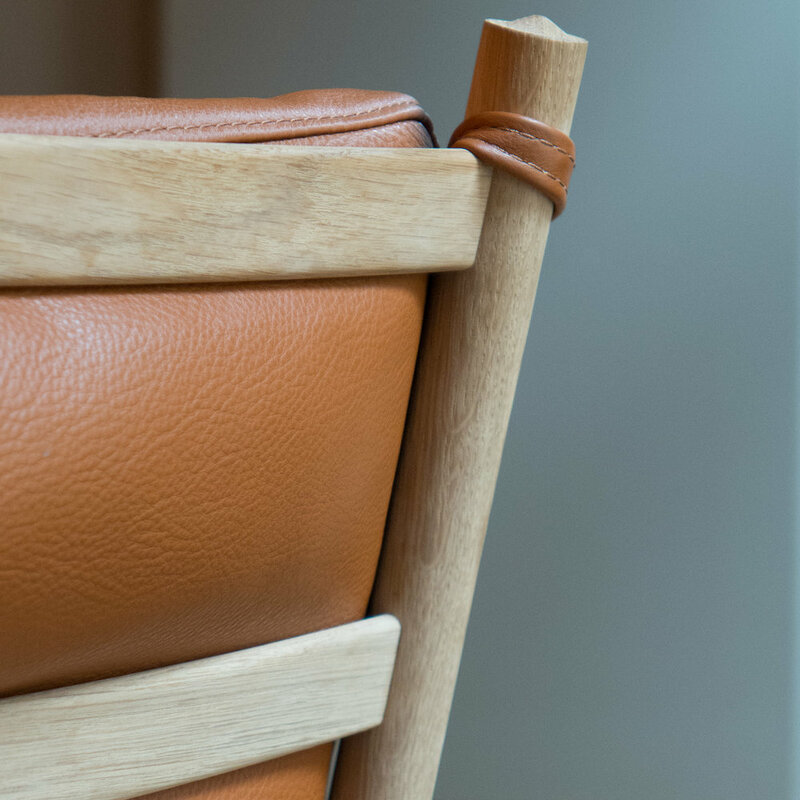 There are many factors that influenced modern Danish design and made the furniture of the period specific to the country and contributed to its success. One key role was that of the cabinetmakers. 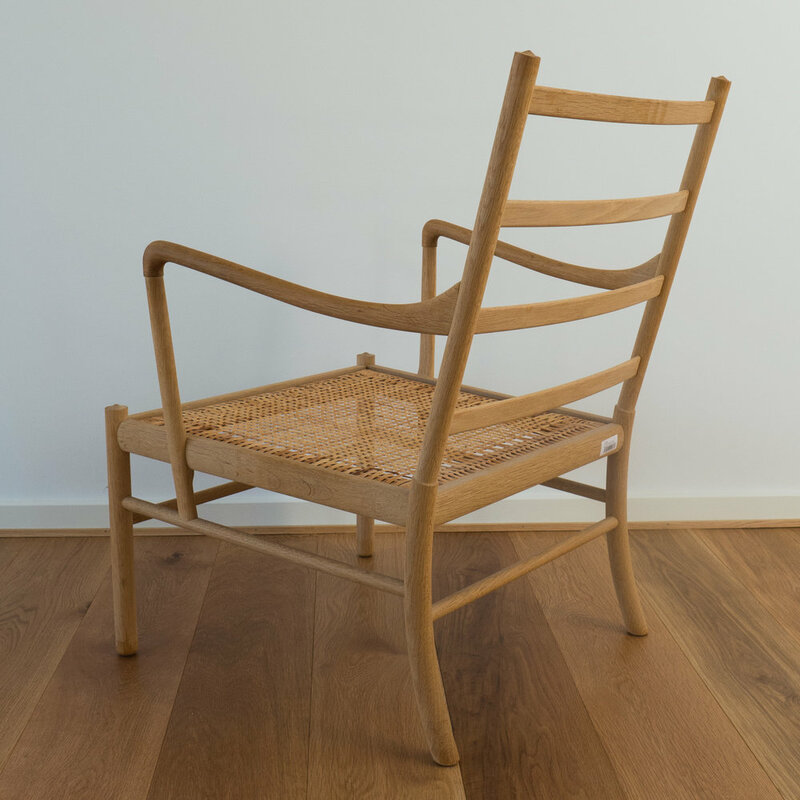 Their work through the 1930s and 1940s and 1950s was not simply a matter of producing work of a high quality but their skills enabled designers to push materials - specifically their work with wood - in very new directions. 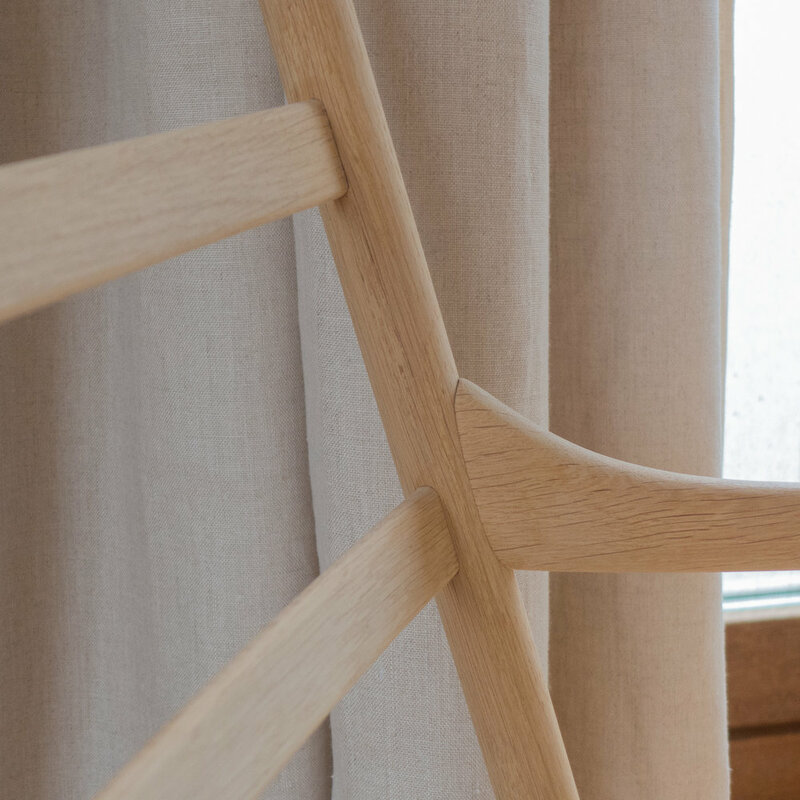 It was the close working relationship between the designers starting with Kaare Klint and his partnership with Rud. 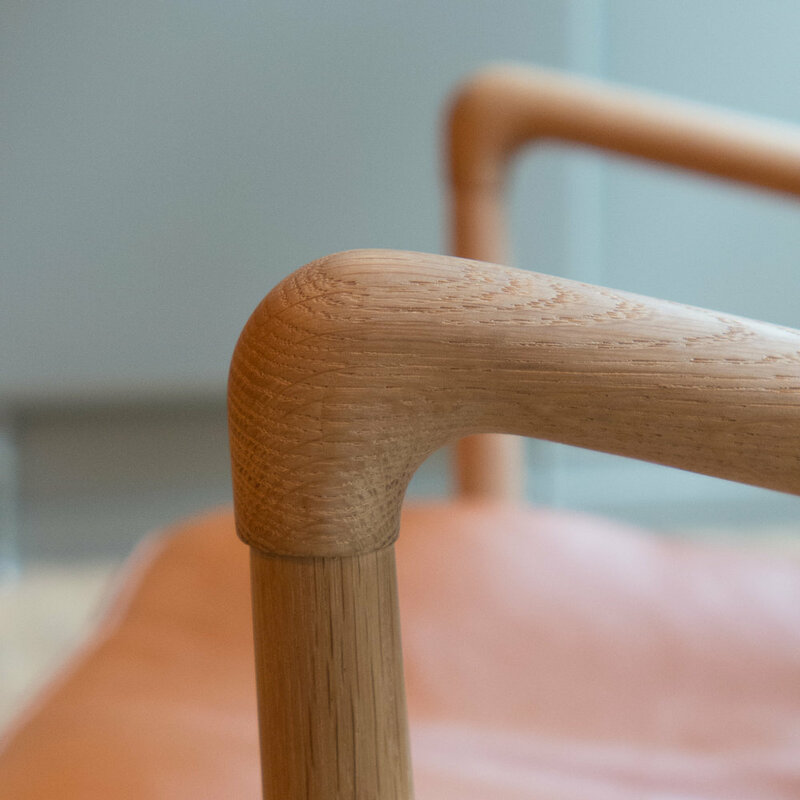 Rasmussen and then on of course through the collaboration between Hans Wegner with first Johannes Hansen and then the craftsmen of PP Møbler or Ole Wanscher working with A J Iversen or the work of Finn Juhl made by Niels Vodder. This was not simply a matter of a maker realising a design: this was about being proud of a skill but having the confidence and the desire to push boundaries and that in fact was what was, essentially, at the heart of the apprenticeship and guild system … its DNA from the middle ages onwards. For cabinetmakers it was about taking the techniques of joining one piece of timber to another and adapting and improving and refining that, along with understanding what wood could and could not do, to make furniture that was, in terms of its mechanics viable. 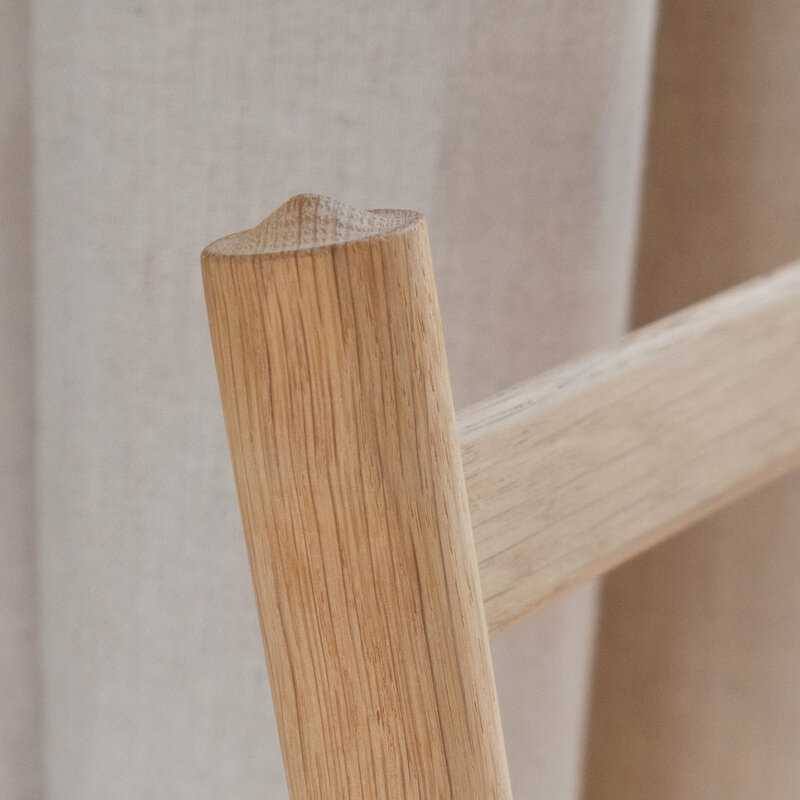 It might seem inane or at best unnecessary to point out that, however beautiful or amazing the design looks, a chair fails, literally, if it collapses or if it is uncomfortable. 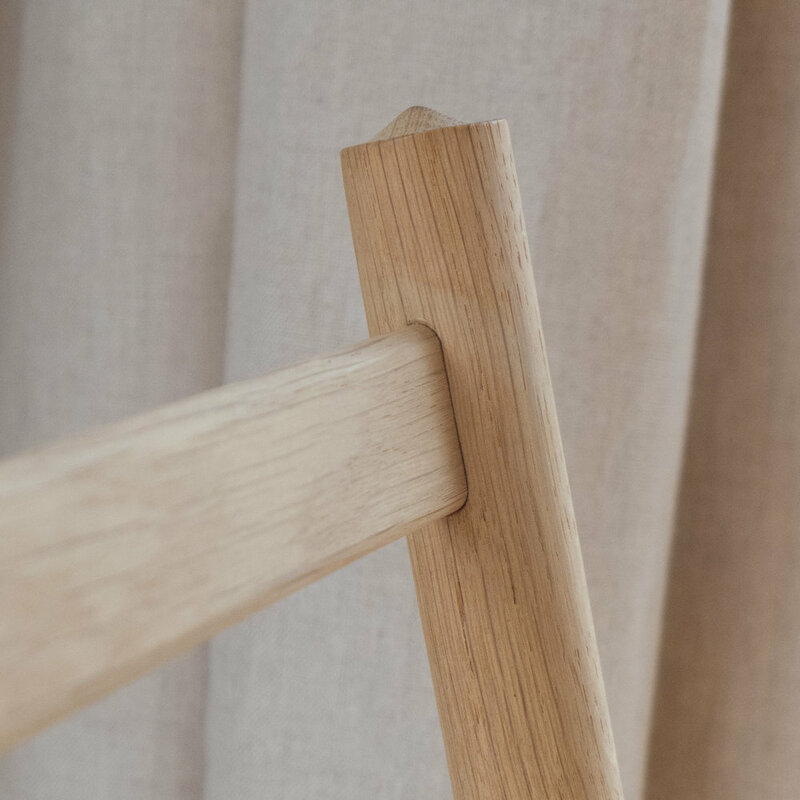 A chair by Finn Juhl shows the designer pushing the materials and the joiners skills to new limits. 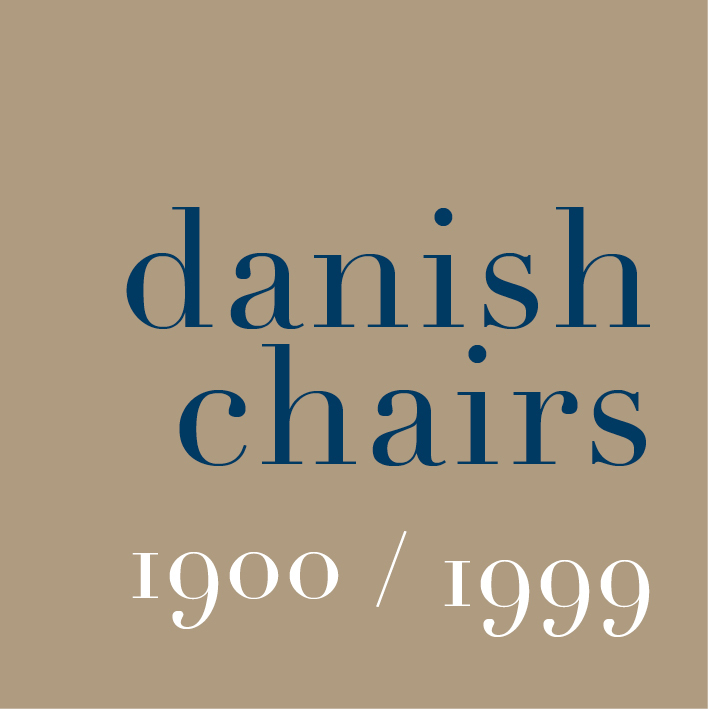 Other chairs by other designers from the classic period are more subtle but no less amazing. 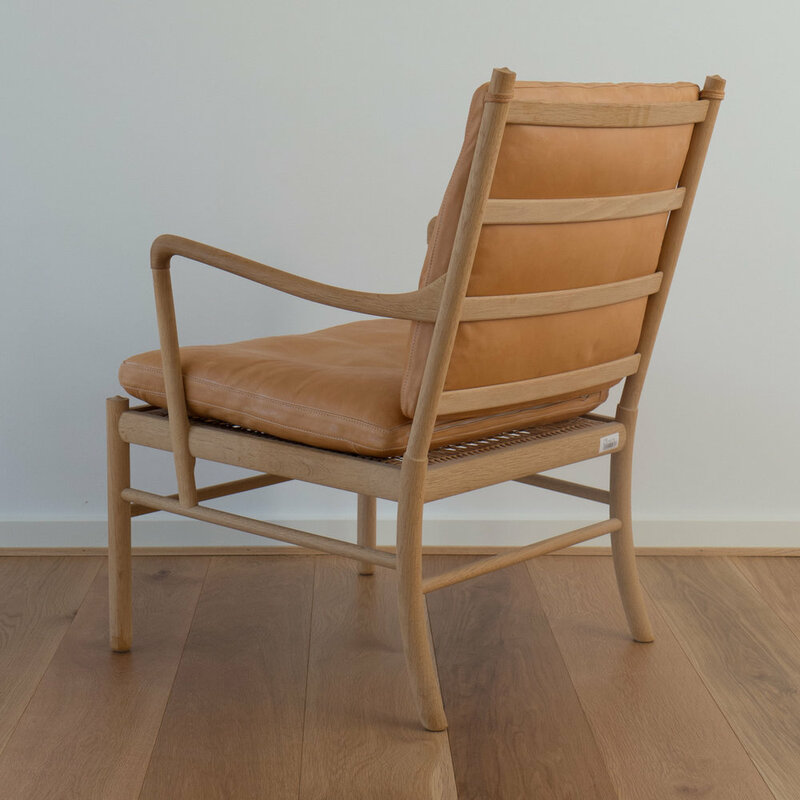 In the Colonial Chair by Ole Wanscher, designed in 1949, the turned posts of the back rest are just 30mm in diameter and the slats that support the cushion of the back rest are just 8mm thick and gently curved along a total length of 480mm but the slats are housed into the posts and the whole thing takes the weight of someone sitting in the chair and leaning back.